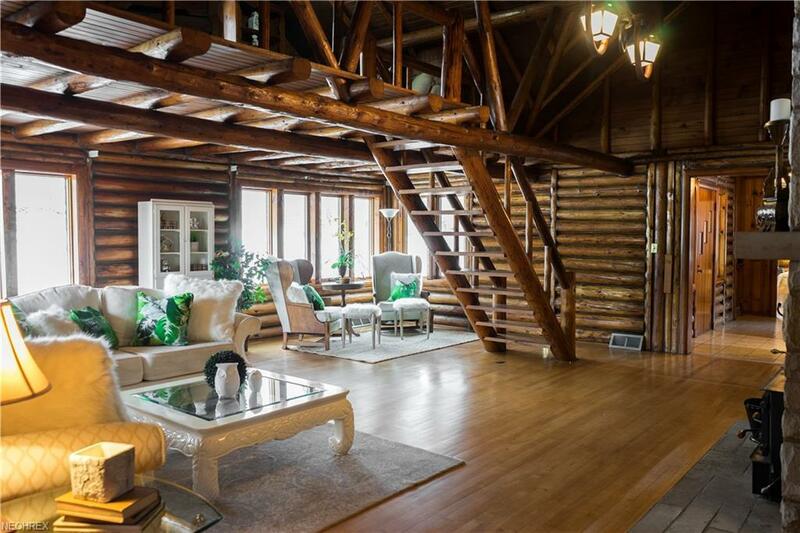 With over 20 acres of beautiful land and lakes, escape the mundane with this log cabin inspired home! 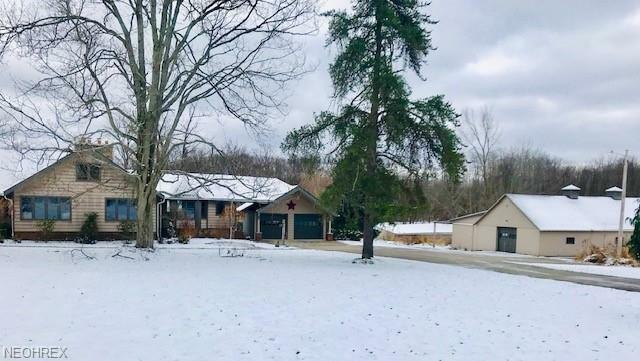 This incredibly unique property features 3 separate garage/barns, with a main 2 car garage attached to the 2 bedroom 1.5 bath ranch. 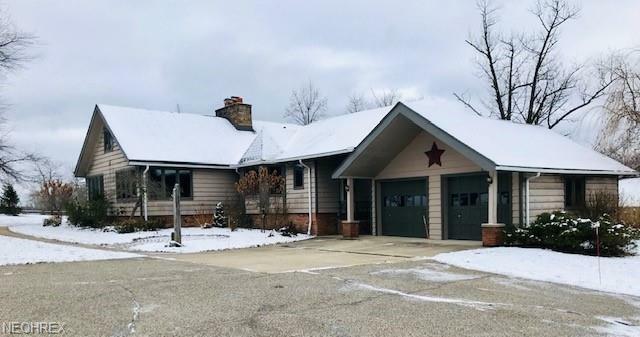 This home is complete with a large enclosed sun room overlooking the property and a gorgeous great room with a fireplace, vaulted ceilings, loft, and wood floors. Also included is a large basement with rec room, pool table and built in bar. 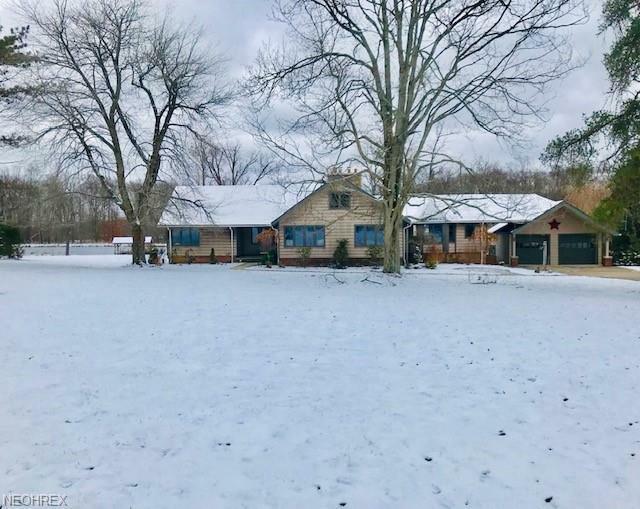 Located with plenty of land in Newbury and close to Punderson State Park, this property is great for someone looking for country living! Drone footage available in supplements.